There is no place like home. And there is no place like Fayette. A place where a strong work ethic, friendly neighbors, nature's beauty and concern for family are the rule - not the exception. Fayette is home to Klock's Island Camping Park, Rainbow Land Park, Cardinal Sports Complex, Multi-Use Trails, Big Rock Golf Course and the Volga River State Recreation Area. While the Volga River winds its way through town providing unlimited recreational opportunities, the 5,750 acre Volga River State Recreation Area, home of Frog Hollow Lake, offers fishing, canoeing, hiking, cross-country skiing, snowmobiling, boating, camping, hunting and much more. Seasons change with the splash and splendor of color. Don't forget the access to numerous cultural activities and sporting events at Upper Iowa University. 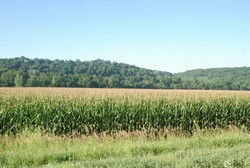 Fayette is the best of what nature and people have to offer. 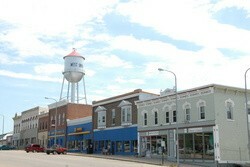 Wadena is located in Northeast Iowa, Fayette County, Illyria township, on the banks of the Volga River. It is approximately 50 miles west of the Iowa-Wisconsin border. 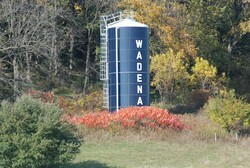 Wadena is in the heart of some of the most beautiful land in Iowa, featuring picturesque farms, winding creeks, and rolling hills. 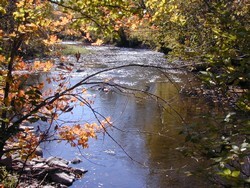 Visit our area attractionspage to find trails, rivers, scenic routes, bridges and historical sites. Stay for a weekend at our local lodgingand don't forget to enjoy a famous Barney Burger! Maynard is located in a tranquil setting of beautiful wooded area through which flows the gentle winding Volga River, which provides many recreational pleasures for young and old. Maynard is located in Fayette, County, 22 miles south of the county seat of West Union and 8 miles north of Oelwein on Highway 150. 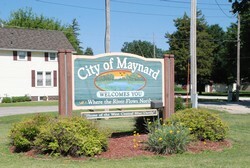 Maynard is the only town in Harlan Township. 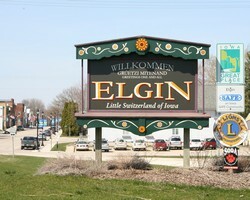 Oelwein is a small melting pot, rich in diversity and culture. The dawn of the railroad brought an influx of people from various cultures and countries who followed the railroad to Oelwein. Oelwein was named "Hub City" because of the rail lines coming into town and the repair shops located there. Even though most of the railroad business was moved in the 1980's, the railroad made Oelwein and the surrounding area what it is today.